Problem free AU examples are tough, though there are several MS examples including an MS67 as finest. Variety Attribution: Obverse- All stars large and close to milling. Star 13 is 3/4 mm. from curl. Date is 8 3/4 mm. 7 is wider and higher than 181. Several fine vertical lines in front of throat from jaw line to upper chest. 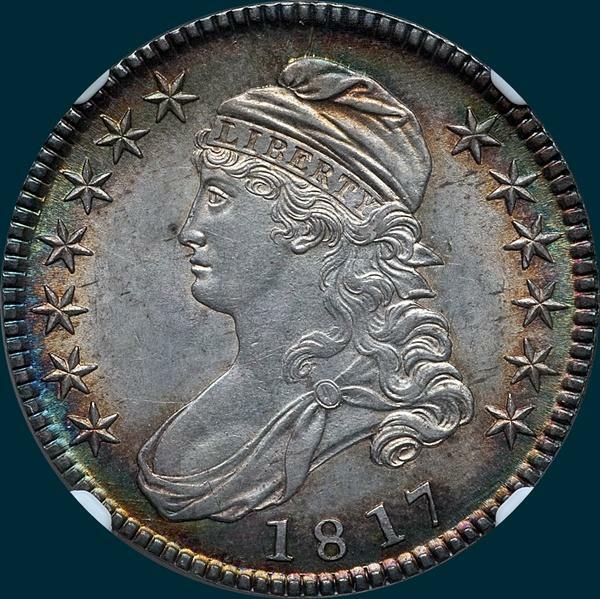 Reverse- 50 C. is 1 1/2 mm. Arrow to A is 3/4 mm.Most specimens show a die crack from base of 50 C. that circles left at tips of olive leaves, top of UNITE, down through D S and along scroll of OF and AM. Another crack from edge between CA into right wing. 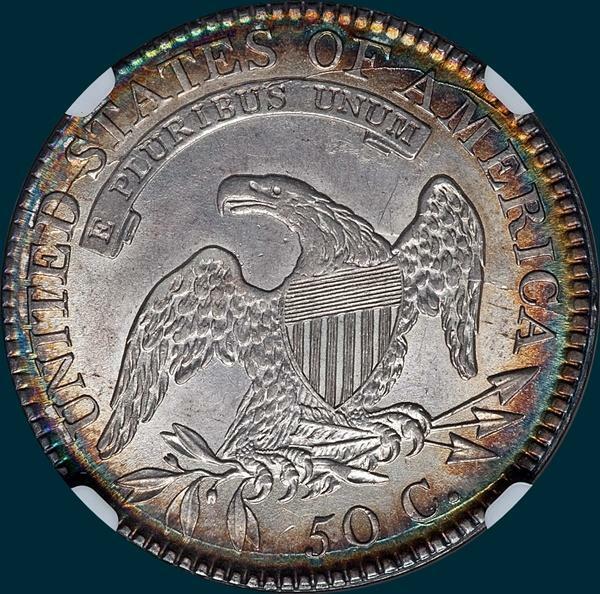 Early die states show widely recut C in 50 C.